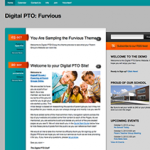 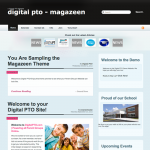 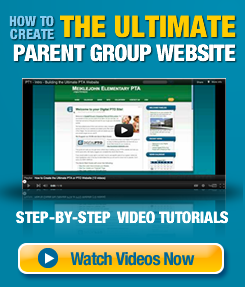 Digital PTO Offers a variety of themes to fit just about any parent groups needs. 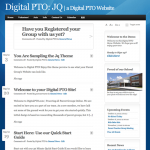 Our two Starter Themes are available to anyone, the Expanded Themes are available to Basic Plan and higher members and the Premium Themes are available only to Premium & Premium Plus Members. The Digital PTO Premium Themes are available Premium, & Premium Plus Members. 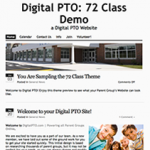 While there are not many themes in numbers, the customization options on the Premium Themes is virtually endless. 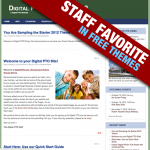 These are our top-of-the-line themes. 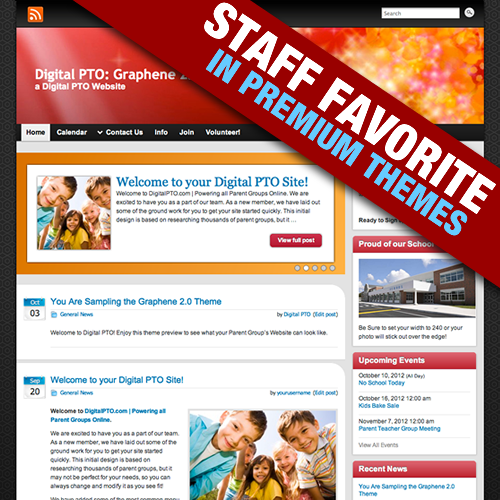 Staff Favorite of ALL Themes! 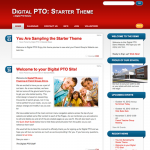 This is the ultimate theme. 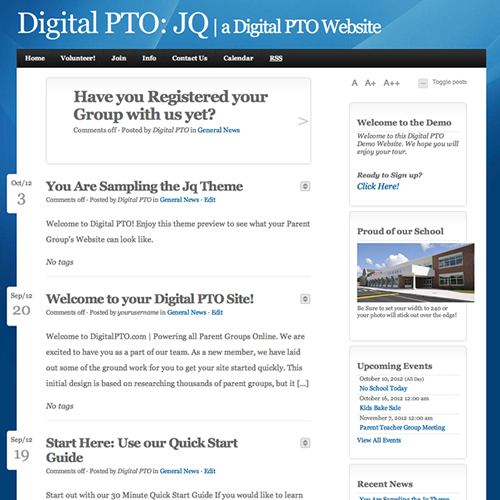 Perfect integration with all of our expanded components (calendar, payments, online family registrations, etc) and a professional and clean look and feel. 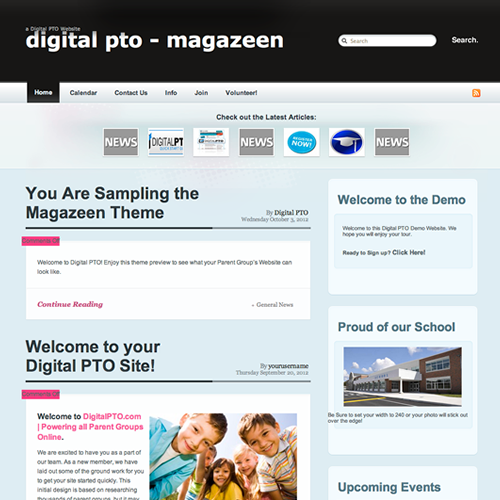 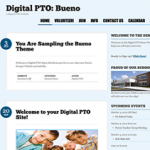 The Digital PTO Expanded Themes are available to Basic, Premium, & Premium Plus Members. 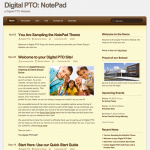 These themes offer some customization and options that are not found on our free themes. 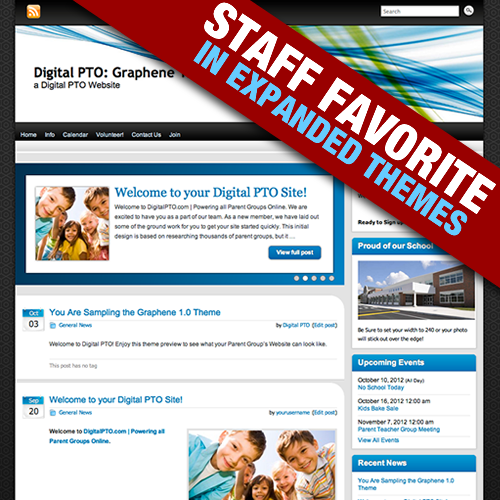 Staff Favorite in Expanded Themes! 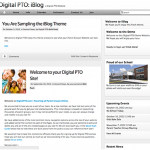 The Digital PTO Free Themes are available to every single one of our members. Staff Favorite in Free Themes! 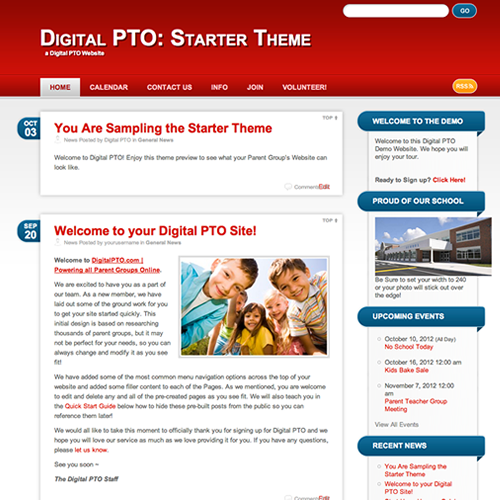 This 2012 Starter theme is quite powerful. 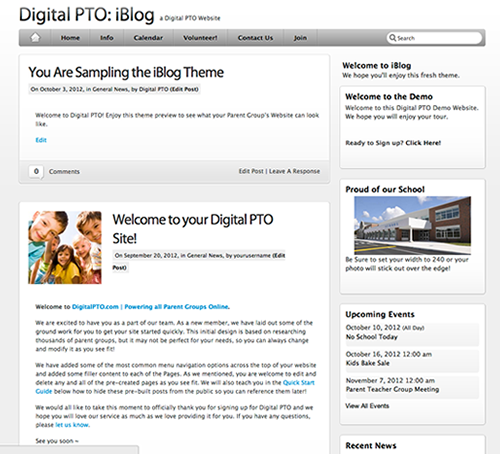 Complete control over virtually every color on the site in a simple to use (with live updating!) 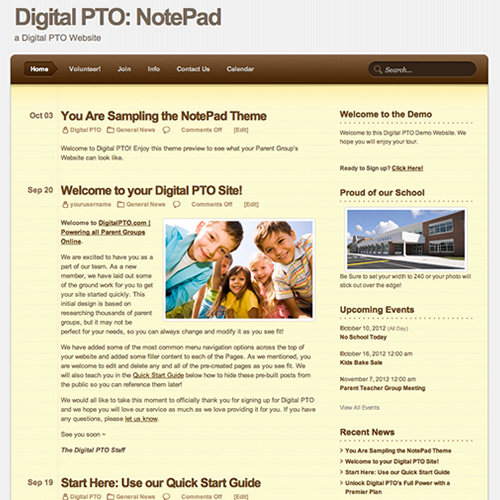 editor.